This slim briefcase showcases the new Galaxy print, a contemporary serigraph inspired by spiralling stars. Hand-woven from soft nappa leather, the piece is equipped with two external zipped pockets, soft padded top handles and a detachable leather and nylon strap. 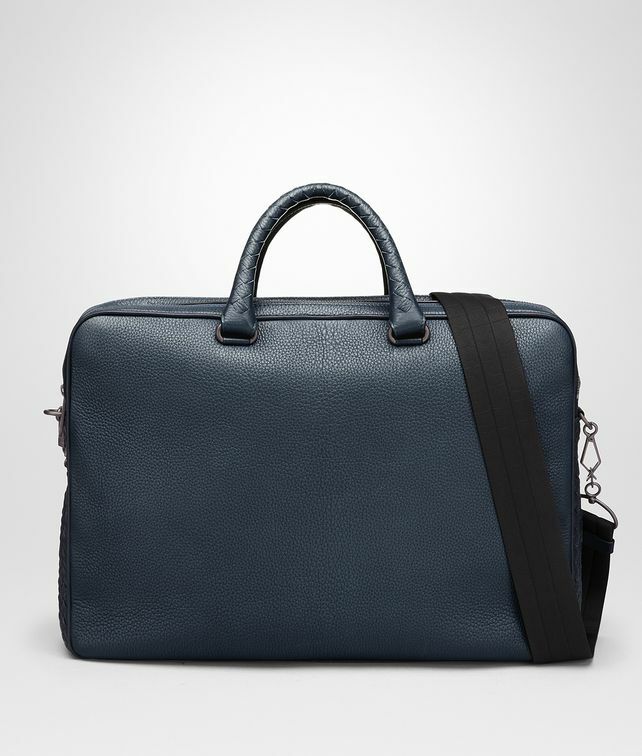 Designed to accommodate documents and hi-tech devices, the cotton-lined interior features a padded section and two flat pockets.